ADITYA HOMOEOPATHIC HOSPITAL & HEALING CENTRE : WORKSHOP 2018 BY DR. AMARSINHA NIKAM. After an Overwhelming response from the doctors in past four years of workshop session we here by announce the extra batch for this year starting on 28th & 29th July, 2018. Through understanding of practical application of materia medica repertory. Outlook to use of physiology, pathology, medicine in correlation with homeopathy. Built confidence to manage critical cases & thus open new scope to enhance practice. 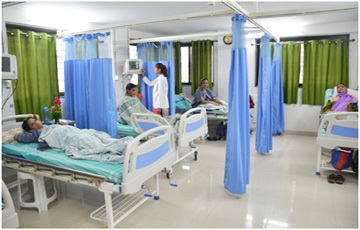 To teach safe & successful way of treatment by adhering to classical methods. Practical explanation of organon of medicine with clarification of concepts. Insight into concept of Suppression & Vaccination. Interpreting modalities & its practical application. Few lectures on physiology, pathology, Medicine in relation to investigations & clinical examination. Practical experience in case taking and hospital round with assistant doctors in detail, live prescription by sir with discussion on remedies. Two days session conducted on Saturday & Sunday. 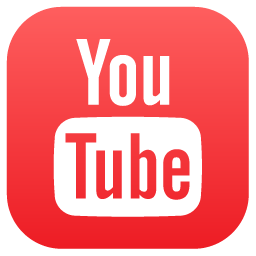 Examination : MCQ paper and oral exam with guidance from sir to individual student. Being a part of O.P.D. during consulting hours with sir. Including Accommodation / Breakfast / Tea / Lunch and Set of Books by Dr. Amarsinha Nikam. Near Shivaji Maharaj Chowk, Old Kate Pimple road, Pimpri Gaon, Pune - 411017, Maharashtra India. 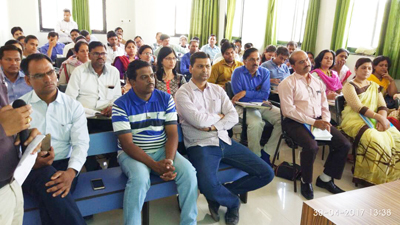 Homoeopathic Workshop sessions at Aditya Homoeopathic hospital are setting new standards of classical & clinical training for entire homoeopathic community. Avoiding empty theoratic discussions & imaginary interpretations Team Aditya is all set to clear up years of confusion of homoeopaths showing true path of simple,classical,Hahnmannian homoeopathy... illustrated on 100+ LIVE cases in Each single Session of workshop..!! November session began on saturday morning with interesting lecture on 'Manifestation Of Psora' by Dr Mukesh Musale (Nashik) He explained in detail Dr Amarsinha Nikam Sirs research on Miasm giving due importance to pathology & its clinical application. Dr Mathew Lobo (Mumbai) took next session on case taking . The part of chief complaint is elobarated in detail with importance of location , sensation , modality in forming totality. Delegates found it very useful throwing new lights on seemingly known topic with referance to repertory. 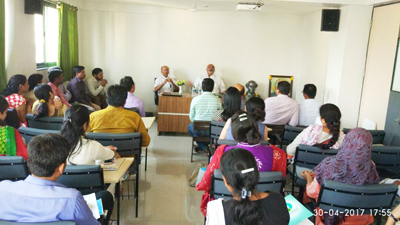 Dr Shyam Pawase(Kolhapur) & Dr Rahul Jadhav ( satara) took Q & A session clearing various doubts of delegates. Dr Anil Navathar ( Nevasa) explained important topic of Thermals. This is yet another much confused subject & Dr Amarsinha Nikam sir with his unique book on Thermal materia medica not only cleared all confusions but also shown its clinical application on LIVE OPD cases to workshop delegates !! 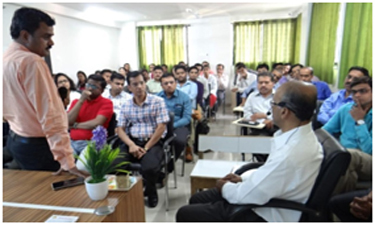 Dr Manish Nikam concluded saturday theory session summerising all topic with instruction of clinical session to be held at night. The most unique aspect of Aditya Hom Hosp worksop is its LIVE CLINICAL session in which delegates are shown same day OPD case taking & also case solving with Living Legend Dr Amarsinha Nikam Sir. In this session detailed case was explained in Dr Nikam sirs OPD & students were asked to workout for totality & remedy. With live patient sitting in front of them it gives 'True Worksop' experience. Finally Dr Nikam sir revealed remedy with proper explaination of Pathophysiology, Mind , Miasm, Thermal ,Potecy & repertory referances. Learning such Single Live OPD case with Nikam Sir proved to be an eye opener for workshop students..! 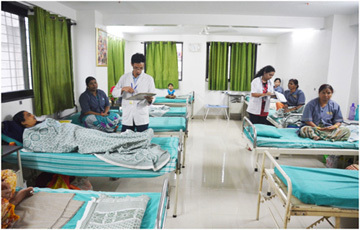 On sunday morning all workshop delegates were taken for hospital round At Aditya Homoeopathic Hospital where 100+ patients of gross pathologies were treated with Classical Homoepathy alone. Team of Interns headed by Dr Vijay Nikam beutifully explained various IPD cases with challanging pathologies , remedy , potency given & reasoning for it. Dr Vijay Nikam then took a session on IPD cases . Delegates were astonished to observe most challanging pathogies such as Pamphigus Vulgaris ,MND, Lumbar Cord stenosis , Muscular dystrophy , CCF CRF ..! tackled with classical approach of Single remedy , minimum dose without any mix / remix , biochemics & mother tinctures...!! 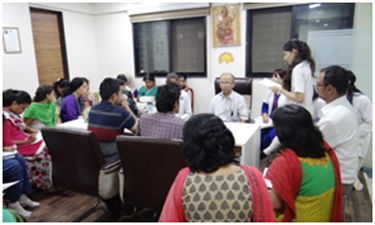 Team of Resident doctors & Interns guided by Dr Vijay Nikam _Dr Aayesh , Dr Ashwini , Dr Shweta rani , Dr Aanchal , Dr Reena & others_ presented various IPD cases with its totality & repertorial workout. After lunch Dr Rahul Jadhav (Satara) presented topic of Swine Flue & homoepathic prophylaxis. He explained how even in epidemics cases classical approach of Single remedy /Minimum dose/ character totality proves successful consistently. To make session practical video Case Of Swine Flue treated by Dr nikam sir shown to delegates. It was very intetresting case as the patient is son of remowned physician & after a dose of similimum not only symptoms quickly disappeared but his swine flue test also came Negative...!!! The last lecture was taken by well known Senior professor of Physiology Dr Mrs Chiddalawar madam , She explained about homoeostasis , positive / Negative feedback mechanism & various important physiological topic. After session Delegates were allowed to interact with Dr Amarsinha Nikam sir himself...who further clearified all topics taught ...giving case examples from his vast clinical knowledge of treating gross pathologies with classical homoeopathy. At conclusion delegates narrated there experience of last three session & how this workshop is helping them to clear there years of confusion showing correct path of Simple , Classical , Hahnemannian homoepathy..! The method that unchanged yet productive for more than 20yrs... 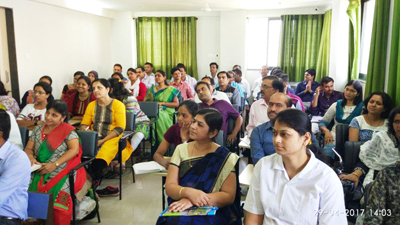 Taught step by step through clinical 'Workshop' of Aditya Homoeopathic Hospital & Healing Centre, pune. 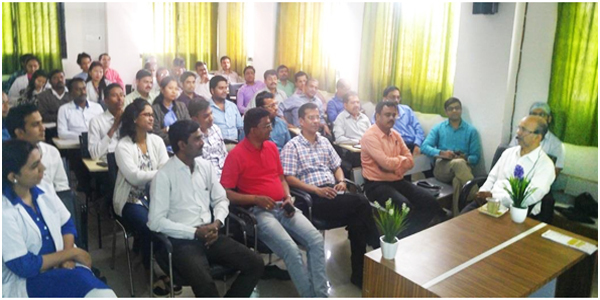 Another enlightning, interactive & knowledge rich session held of workshop held on 23 & 24 th of Sept attended by delegates all over India. "Dr Manish Nikam" started with revision of last session. Dr Jadhav illustrated this chart with practical case example of Infective Hepatitis with bilirubin 33.2mg...! Patient was in very desparate condition ..with Dr Nikam sirs approach single remedy given 30potency.. his bilitubin went down to 6mg just four days with general improvement..!! In Night "Live Case Taking & Case Analysis" session held which took the learning entirely to next level..
Other faculty from "Mission Homoeopathy" Team also shared there practical experience. As usual all workshop doctors were eagerly waited for April session. 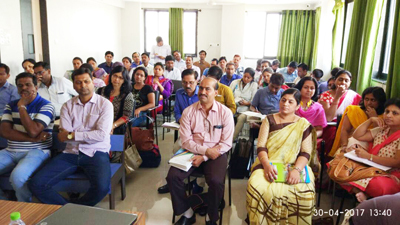 On 29th & 30th April session of Classical Homoeopathy Workshop completed. 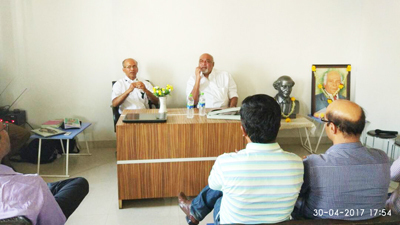 Dr Sai Chinta took the very vast, complicated and confusing topic of Homoeopathic field i.e. Vital force He explained the theory of vital force... And proved that why Vital force is nothing but oxygen! Dr Sagar Mane explained abt the Indisposition in detail with examples and cleared all the doubts regarding it. Quiz session took by Dr Manish entertained all the doctors. Dr Rakhi Munot presented the topic "Respiratory symptoms and Homoeopathic approach with explanation"
Dr Mukesh Musale explained the importance of record keeping and How important is Preliminary data in Case Taking Proforma. 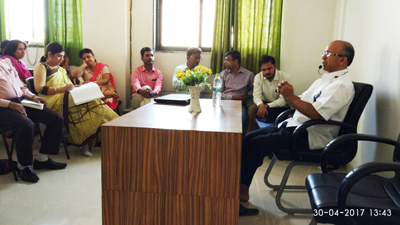 All Practitioners got highly benefited by Evening consultation session with Dr Nikam Sir. On next day practical session continued with hospital round. Dr Amarsinha Nikam Sir himself presented 2 cases and given the important guidelines in Homoeopathic practice. Dr Rahul jadhav given Lecture on Acute case taking and Acute miasm. Next workshop will be on 24, 25th June 2017.